Ju 88A-1 damaged during air raid on Fliegerhorst Aalborg West 31/7 1940. The aircraft belonged to 2./ KG 30 and was coded ? The Blenheim IV R 3895 of RAF 114 Squadron attacked Fliegerhorst Aalborg West a little after 09:00 hours with 500 kilograms bombs and machinegun fire damaging one JU 88 70% and killing 5 ground personnel and wounding one lightly. 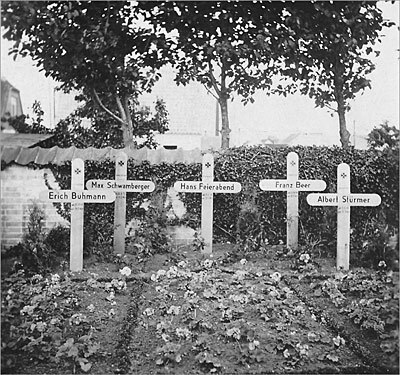 Those who died were Prüfmeister Hans Feierabend of I. /KG 30, 1. Ward Unteroffizier Max Schwamberger of 2./ KG 30, 1. 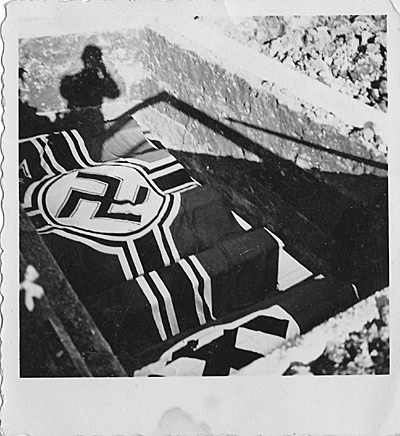 Ward Unteroffizier Erich Buchmann of 2./ KG 30, Hauptgefreiter Franz Beer of 1. 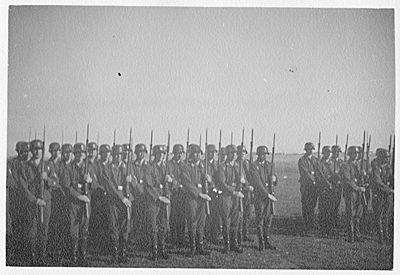 / KG 30 and Obergefreiter Albert Stürmer of 1./ KG 30. 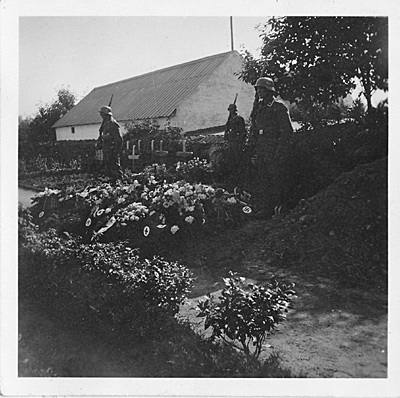 The were taken to the morgue at the Kommune Hospital in Aalborg and on 2/8 1940 they were laid to rest in Lindholm cemetery. 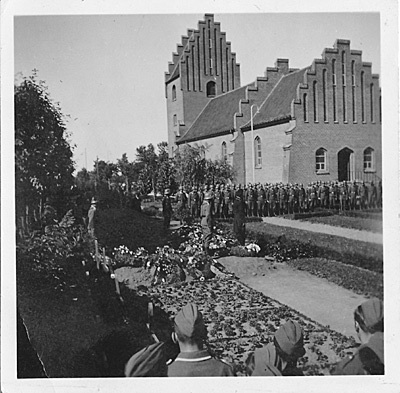 The German army chaplain Professor Meinholt of Kiel officiated at the graveside ceremony. 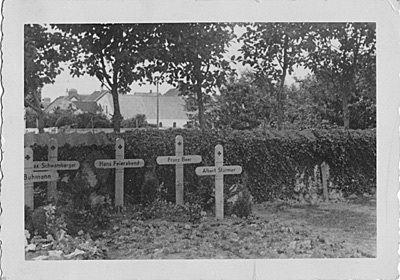 In the sixties their remains were transferred to the German cemetery in Grove. Sources: WASt, RL 2 III/1174, KL, VDK, LBUK.